For those who love the sea and everything it represents there is no better theme to bring into their home decorating plans than a nautical theme. The theme itself is perfectly lovely and suitable for homes and homeowners that are not so in love with the mystery and romance of the deep blue sea. For those who do love the idea of sailing off into the sunset however, this is an excellent choice for home decorating. There are many ways that a creative mind can incorporate a nautical theme into the home decorating plans. One of these ways is by using darkly stained wainscoting for the lower half of your walls along with a chair rail in order to imitate the wooden interior of finer sailing vessels. This imitates the interior of a sailboat and some powerboats. This is an impressive addition in most homes and quite ambitious in some as it is not the least expensive method of decorating. The effects however are stunning when used for this purpose. Another great idea is to use a marine shade of blue for curtains and window coverings and have them made of the same type of materials that sail covers are made of on a sailboat. If you are truly ambitious you could elect to paint the walls in this marine shade of blue and select another color for the curtains or wooden blinds instead. However, white walls are perfectly acceptable when it comes to creating the look and feel of the interior of a boat. Rope is another great tool to use in order to make the nautical theme a bit more authentic. You can twine rope around picture frames, candleholders, and all manner of other things in order to incorporate the rope into the room without having it look out of place. If you are truly ambitious you could even string a hammock in some forgotten corner of the room in order to hold coats in the wintertime or merely to authenticate the theme to some degree. Portals, clocks, barometers, and such make excellent art in a nautical themed room. Other great additions would include items such as seashells, sand dollars, model boats, and artwork depicting the sea. For many, this is where we feel most at home, we derive our inspiration, and we literally feel as though we can truly commune with Mother Nature. No nautical themed room or home is complete without a lighthouse to guide weary sailors home at the end of a long journey. Do not neglect an important feature such as this in your nautical themed home decorating ventures and purchases. If you are lost as to how to subtly incorporate this into your room you may want to look up a talented artist by the name of Thomas Kincaid. He is known as the painter of light and has managed to capture the essence of lighthouses in a manner that no other artist has been able to duplicate. One of his paintings would make an excellent addition to your nautical theme. A nautical theme for home decorating is a great way to go for many families and for many reasons. All in all it isn’t the most expensive of decorative themes though it isn’t by any means the least expensive either. The good news is that there are very few absolutely right or wrong ways in which to achieve the look and atmosphere you are hoping to achieve. 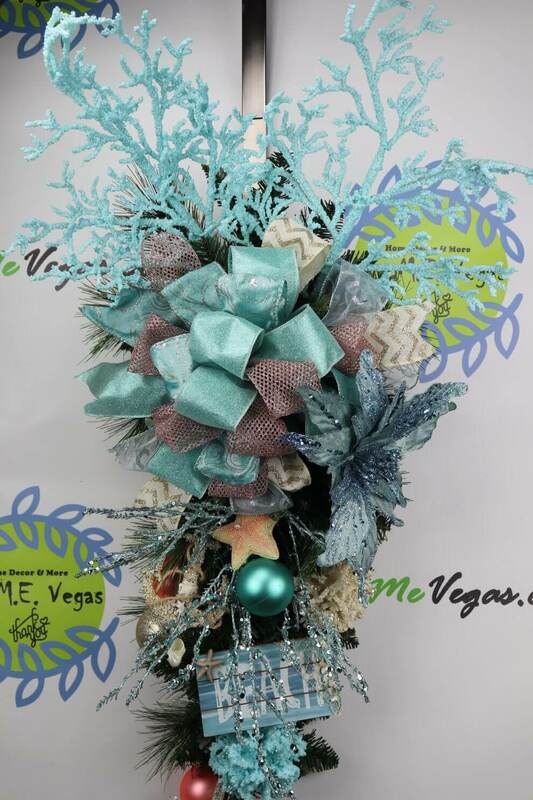 I make wreaths, swags, centerpieces and garlands. I want your home to be inviting and beautiful and want to help you make that possible. I am inspired by the creative aspect of designing. I love being able to go into my craft room, start with a plain wired wreath form, and create a beautiful creation for your front door or home.